Lawyers have been speaking for months of a tough environment for international firms in sanction-battered Russia, but no event has been as emblematic as the news in September that two of Akin Gump Strauss Hauer & Feld’s top Moscow partners have quit to launch an independent firm. Heavyweight litigator Ilya Rybalkin and corporate veteran Suren Gortsunyan launched Rybalkin, Gortsunyan & Partners (RGP), bringing across 11 other fee-earners from their former shop – now left with just 18 lawyers in Moscow. The latest sign that life in Russia is getting tough for international firms came today (5 September) as two of Akin Gump Strauss Hauer & Feld’s key Moscow partners quit to launch an independent firm. Russia’s propensity for volatility is infamous. Since its revolution 100 years ago, it has lived through events that the Soviet Union’s founders would never have imagined. Today, amid heightened geopolitical tensions, it continues to face huge uncertainty. But its law firms are adamant that it will continue to provide solid revenues. Dentons has taken on Clifford Chance’s (CC) Russia and CIS oil and gas head Louis Skyner as partner, the second practice leader to be poached from the Magic Circle firm this month. If the mood of a city can be gauged by the bustle of its shops and restaurants, then law firms active in Russia and much of the wider CIS region should not be especially fearful. Björn Paulsen, co-head of German firm Noerr’s Moscow office, says despite the recent devaluation of the rouble coming amid prolonged economic turbulence, few tables are empty in the Russian capital’s top eateries. ‘The crisis has already reached the bottom and now the market is on the rise again,’ he says. Typically on the receiving end of partner moves, Quinn Emanuel Urquhart & Sullivan has lost Moscow-based arbitration partners Ivan Marisin and Vasily Kuznetsov to US rival Baker Botts, leaving Quinn’s ten-lawyer Russia outpost with one full-time partner. After several top 25 global firms cut backs their Moscow offerings last year, there have been signs of renewed interest in Moscow as Kennedys set up a Russian base last month through an exclusive arrangement with local firm and former Clyde & Co best friend CIS Advocates, while Chadbourne & Parke invested in a new managing partner. 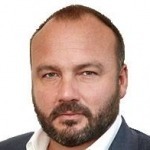 Kennedys’ launch comes with the hire of former Clyde & Co Russian insurance practice head Constantin Saranchouk, along with an associate, and follows troubled markets in Russia across 2014 that saw a raft of firms scale back in the region due to international sanctions. Following troubled markets in Russia across 2014, a handful of firms have signalled a renewed interest in the region, with Kennedys being the most recent to set up a Russian base. 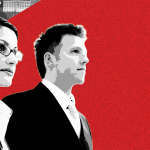 Law firms scramble to reposition Moscow practice as EU sanctions hit home Russia’s volatile political environment began to have an impact on international and domestic law firms in Moscow at the beginning of this year, but as 2015 nears, and with multiple rounds of international sanctions imposed on the country, the situation has dramatically deteriorated. 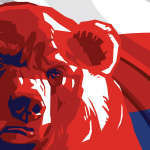 US and EU sanctions on Russia have taken their toll on many located in Moscow, including Allen & Overy (A&O), which offered redundancy packages at associate level in October; Linklaters, which seconded 19 associates into other regions; White & Case, which reduced its Moscow-based headcount across both partner and associate levels; and Cleary Gottlieb Steen & Hamilton, whose office associate headcount dropped.